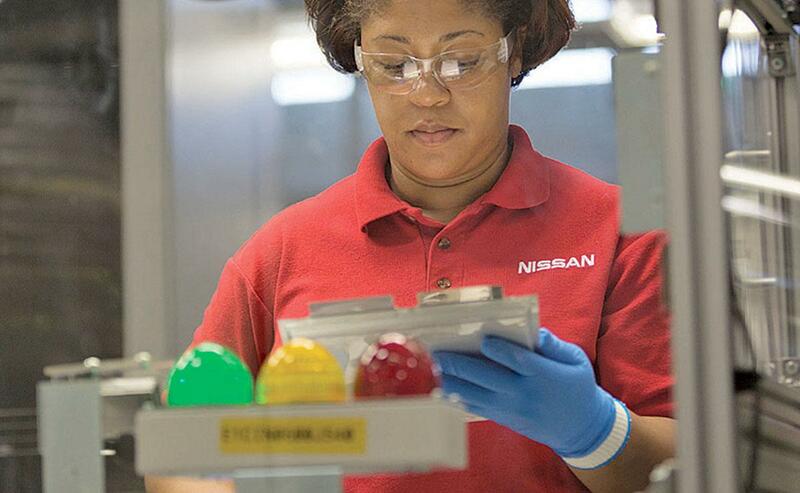 Nissan had planned to sell its battery-making operations in Smyrna, Tenn., as part of the deal. TOKYO — Last summer, Nissan Motor Co. struck a deal it said epitomized the winning strategy for the coming era of new mobility. The Japanese automaker would offload its global lithium ion battery business, freeing up resources for other next-generation technologies. But that deal has collapsed, Nissan said last week, because its eager Chinese buyer was unable to come up with the necessary funds. The turn of events leaves Nissan in a bind as it prepares to develop an expanding fleet of electric vehicles for world markets. But it also highlights important changes in China. The first is the rise of homegrown Chinese battery makers into global players. The second is a slowdown in the country’s once unbridled appetite for overseas acquisitions at any cost. Nissan had arranged last year to sell its multiplant in-house battery manufacturing unit Automotive Energy Supply Corp. at a whopping ¥100 billion ($903 million), according to Japanese media reports. The buyer was GSR Capital, a Chinese private investment fund whose holdings include Iconiq Motors and Fisker Inc. But when the June 29 closing day arrived, GSR had backed out. According to a Nissan filing with the Tokyo Stock Exchange, GSR Capital “was not able to have the funds available to fulfill its contractual obligations.” Nissan, still saddled with a battery maker set up more than a decade ago to supply the Leaf EV, says it’s unsure what to do next. How the deal fell apart is unclear. Nissan spokesman Nicholas Maxfield declined to comment beyond saying it was not derailed by a regulatory holdup. 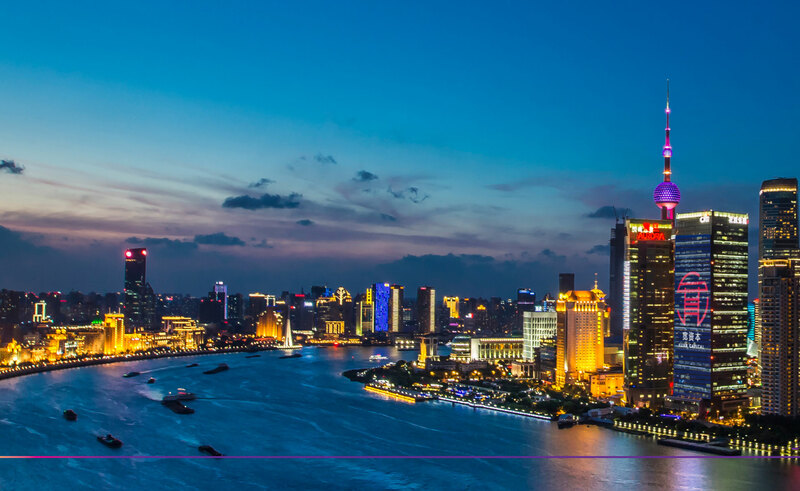 GSR Capital representatives in China and the U.S. failed to return phone calls. But analysts say the breakdown likely hinged on Nissan’s asking price and the technology GSR Capital would reap in return. In announcing the deal last year, GSR Capital seemed to value AESC more for its global footprint than any cutting-edge technology it might have. The business unit consists of EV battery plants in the United States, Britain and Japan. But GSR Capital acknowledged that it would need to invest further into r&d to build AESC into a global battery player capable of supplying carmakers beyond Nissan. AESC was created as a joint venture among Nissan and electronics companies NEC Corp. and NEC Energy Devices. Underscoring its limited commercial reach, Nissan’s own alliance partner, Renault, snubbed AESC by sourcing some of its batteries from South Korea’s LG Chem. Buying AESC could have locked GSR Capital into a battery making operation that had a limited customer base as well as a supply chain restricted to NEC components. At the same time, Nissan would likely have retained the key battery know-how, which carries the biggest value in any battery venture. By contrast, China’s battery makers have grown only more competitive over the years. Contemporary Amperex Technology Co., known as CATL, now touts itself as the world’s largest supplier of batteries for electrified vehicles, just ahead of Japan’s Panasonic Corp. Already the colossus at home, CATL now is looking abroad. Last month, Reuters reported CATL plans to build a battery cell factory in Germany to supply BMW and other European carmakers. Not far behind is BYD Co., the Chinese electric car and battery maker backed by Warren Buffett’s Berkshire Hathaway. Last month, it unveiled plans to build the world’s largest electric vehicle battery factory in western China’s Qinghai province, a major lithium producing region. That 24-gigawatt-hour plant, BYD said, would be the size of 140 football fields when in full use next year. China’s government wants local players, not overseas rivals, to dominate the global market for batteries under its Made in China 2025 campaign to corner next-generation technologies. A Japanese press report noted that CATL and BYD combined had just 10 percent of the global market in 2014, while Panasonic led with 44 percent. But it lamented a big flip-flop when citing the 2018 battery forecast: Panasonic at 15.5 percent, BYD at 7.3 percent and CATL on top with 19 percent. All this raises the bar for any Chinese investor shelling out for a foreign battery brand. “You have to ask what capabilities are lacking in China today,” Russo said. GSR Capital is the latest high-profile Chinese buyer to back out of a billion-dollar deal. Last year, electric car startup Faraday Future stopped construction of a planned $1 billion plant in Nevada after encountering a cash crunch and failing to pay vendors. It later decided to downsize its ambitions and lease a former tire factory in California. This year, Beijing WKW Automotive Parts Co. reportedly bailed on its plans to invest up to €1.13 billion ($1.24 billion) in an electric car factory in Germany. In the end, Beijing WKW decided the plot of land was too small, according to the Branchenbuch Lausitz website. It is unclear whether GSR Capital had trouble raising the funds or backed out after due diligence for other reasons. Closure of the AESC deal was reportedly postponed at least twice. In other deals, GSR hasn’t been shy about splashing its cash. GSR Capital and its GSR Ventures investment arm have long focused on new and electrified mobility. It has taken stakes in Chinese ride-hailing company Didi Chuxing and lithium ion battery hopeful Boston Power Inc., as well as a low-cost Chinese EV maker called Xindayang. In March, just as talks with Nissan were bogging down, GSR shelled out $500 million for a stake in NEVS, a Swedish EV maker. As part of that deal, GSR said it would establish a battery manufacturing center at a NEVS site for NEVS cars and other European makers. GSR, which stands for Golden Sand River, was founded by venture capitalist Sonny Wu. A 2015 profile of Wu in Fortune magazine depicts him as one of a new breed of Chinese moguls bent on making smart investments in next-generation technologies. For example, Boston Power, originally headquartered in Massachusetts, had great battery technology but was unable to commercialize it. GSR moved Boston Power to China, where it deployed the batteries in affordable EVs being cranked out by Xindayang, according to Fortune. Nissan’s next step likely will be finding a new buyer. Japan’s No. 2 carmaker has plenty of cash, so there is no rush to sell. But Carlos Ghosn, now chairman of the Renault-Nissan-Mitsubishi Alliance, was clear last year that the future of Nissan’s battery procurement strategy is shedding AESC and playing the field of existing battery specialists.